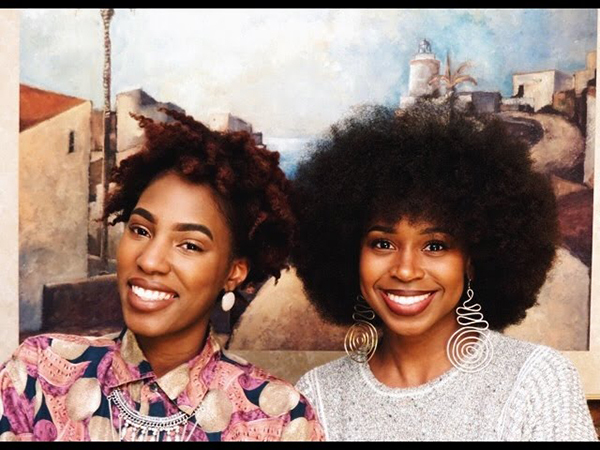 Jovi and Erica LeShai wound up creating a beauty business when they were looking for products to help them deal with the problems caused by stress. ?The concept for Jovi Shai Beauty was conceived when I was experiencing extreme stress. The stress caused hair loss and blemishes on my normally toned complexion. After purchasing over $200 worth of skincare products that worsened the problem, we decided to make products of our own. The results were incredible,? explains LeShai. ?We both decided to make products that we can trust and that we knew would work for our skin and hair.? Jovi Shai Beauty specializes in making products using organic plants that they actually grow themselves. ?We researched to find suppliers who sell organic and non-genetically modified ingredients, and our amber jars ensure that our products are in mint condition when they reach you! We do not test our products on animals and our recipes are vegan and vegetarian. We know that natural ingredients will not only result in beautiful hair and skin, but more importantly, healthy hair and skin, says LeShai, who with Jovi opened the business on April 30th, 2016. ?We’re newbies, but we’re here to stay!? announces Jovi. The pair self funded and was careful with their budget. ?Well, we kept our expenses as small as possible. Since we designed everything ourselves, it helped to keep our startup costs very low. Our jobs funded the startup. We were both working at the time, and we put aside funds to buy what was needed, as needed,? says LeShai. So far, their strategy has paid off as their products keep getting more and more popular. ?Our Coconut Lava Bar Soap is our hands down best seller. We can barely keep it in stock. I believe it sells so well because people are initially intrigued by new things. ?A LAVA bar?` people often ask. So they try it, and once they do, they love it. We have one customer that whenever we update the soap inventory, she purchases all of them,? says Jovi. And count on their products on being different. ?We specialize in making all organic, non-GMO, vegan, vegetarian, sulfate free, preservative free, handmade products. We don’t add any fillers. What makes our products different is the purity. You will never find a product more pure, more natural and more honest than what we make. We know our plants are organic because we are the ones tending the gardens,? says LeShai. Still, the pair has had some challenges. ?Our biggest challenge is maintaining suppliers that adhere to our standard of organic and non-GMO ingredients. We once had a delay in all orders containing orange oil because our main supplier didn’t have organic orange oil. We are very serious about protecting the integrity of our brand, so the integrity of our ingredients is something we monitor closely,? offers Jovi. With the challenges have come valuable lessons learned. ?The most valuable lesson we’ve learned is to adapt and change. The business industry is forever changing, and a business that does not adapt is a business that will not survive. We pay attention to successful businesses, follow the trends and emulate what works to ensure that we stay relevant,? says LeShai, who is looking forward to expanding the business. ?Among our goals for 2018 is to be in major retailers, specifically Target. We want to grow and expand so that Jovi Shai Beauty can reach everyone. We have a plethora of other goals, but I wouldn’t want to write an essay!? And Jovi Shai Beauty is happy to see more Black beauty businesses open. ?Says LeShai, ?I believe more Black people are starting to see the value of working for ourselves; we are beginning to understand how vital group economics is for our communities. And more of us are understanding just how important it is to regulate what goes in and on our bodies. ?